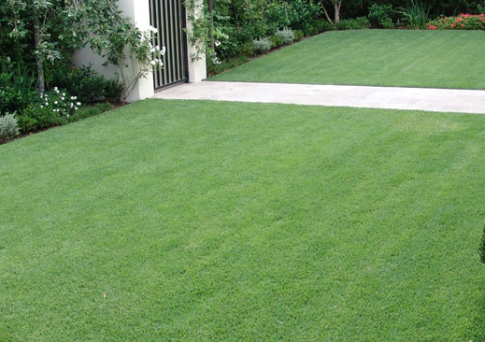 Our customers are always asking which type of grass best suits the South East Queensland climate, and generally (with the exception of some very shady areas), the answer is Empire Zoysia. Why, you ask? Good question. As the largest supplier of Empire Zoysia Let’s take a look at all the characteristics which make Zoysia the best turf choice. Empire Zoysia is often referred to by its nickname, E.Z. Not only due to its abbreviated name but because Zoysia is just so easy (E.Z, get it?) to look after! From watering to mowing and just general maintenance, you won’t find a grass that asks less of you. Thanks to its wide leaf and deep root systems, Empire Zoysia is great for areas or lawns that don’t get a lot of water. It’s drought tolerant, so it can retain water and stay healthier than most other turf varieties. An extremely water efficient lawn… Who doesn’t want that? Thanks to Empire Zoysia’s high salt tolerance and hardwearing nature, it’s perfect for coastal area conditions, including sandy or clay soil areas. It also thrives in the heat and can tolerate cold frosty conditions better than its turf counterparts. Diseases and pests are no match for the hardy (yet soft) Empire Zoysia variety. This is especially true for those pesky lawn grubs which can wreak havoc on other types of grass. Even better? Zoysia is great at out-competing weeds. Once well established, its dense growth makes it much harder for weeds to establish, and even when they do, Zoysia will out-grow them. Did we mention the mowing?! I know we mentioned this earlier, but it definitely warrants its own point; Empire Zoysia has been proven to require only one third the mowing of other varieties. Just let that sink in… Imagine only having to mow nearly 70% less often? It’s the dream! What’s better than snuggling under a blanket with a hot drink and a movie during winter? Knowing that while you’re enjoying your winter solace, your lawn isn’t turning brown and dying due to the cold conditions. Not only does Zoysia recover well from foot traffic and other ailments, it can tolerate cold conditions and keeps its luscious deep green colour throughout the winter months! Honestly, is there nothing this turf can’t do?! All in all; Zoysia is the turf of the people. If you would rather spend your weekends socialising, spending time with family or playing golf, basically anything other than weeding and mowing; then Empire Zoysia is your you! We are the biggest (and best) supplier of Empire Zoysia turf on the Sunshine Coast. So whether you need a lot or just a little. Let the friendly, local team at Go Turf help. Call us on 1300 781 175 or send us an enquiry for a free quote. We offer delivery and installation services or you can pick up your new turf directly from our farm in Beerburrum, we make it as easy as possible for our customers.